Yeah, I’ve been looking to buy the collection since I saw it released on Amazon. Glad I found it for less than the $400 it’s going for on Amazon. It’s my b-day today and one of my closest friends had my favorite flowers delivered to my doorstep. Some of you know I’ve been going through a rough patch lately, so it really brightened my day to open the door and see them there. I thought I’d share it here. Sorry it’s not the best pic, I was rushing to get to college. My name’s in there so Im going to reupload. Not my photo, but I was passing nearby the Stone of Bismantova and it’s always pretty intimidating. A few million years ago, was the only land above water, and more recently has inspired Dante for his vision of the purgatory. 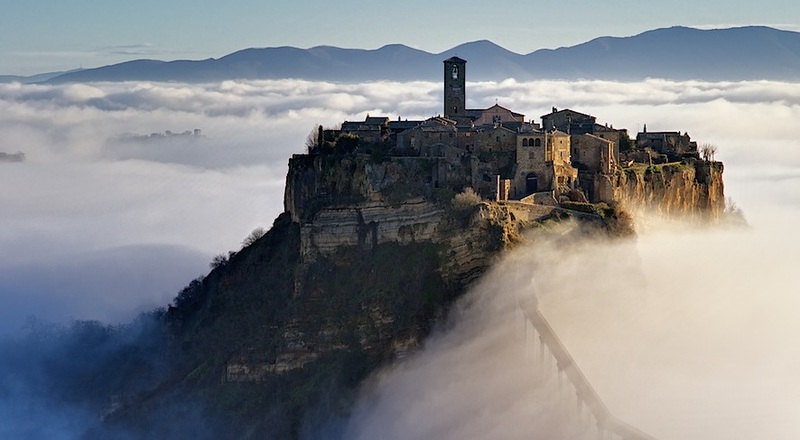 And another similar place that some may also like is Civita di Bagnoregio, also known as the dying place, a medieval town built on top of a steep mountain, connected to the world by a bridge… named devil’s bridge, of course. Only read this now! Thanks, dusty! Both the stairs and the ramp lead to the same place. The rhetorical question is which path do you take? Obvious answer is scale the wall and walk the fence. I would like to see you skateboarders try and grind up that railing. It’s not possible, and quit trying to ruin the metaphor! And no photos of the actual doughnuts? I’m calling it bull. On a side note we don’t really have doughnuts in Brazil, except for cheap knock-offs of cheap US brands. First actual one I ate in my life was ~.3 Euro at a bloody Lidl in effin Amsterdam in December and to this day it’s one of the best things I’ve ever eaten. Ever since that day I have this deep, mind-consuming, desire to buy a ticket to Europe walk into a Lidl bright and early BUY ALL OF THEIR DOUGHTNUTS and straight up leave then spend the rest of day day living on delicious chocolate-coated cream-filled doughnuts. I mean cool pic m8. There are doughnuts in it. I have a store about 35-40 minutes from me. About the same location as IKEA I found out, and not too far from Microcenter.